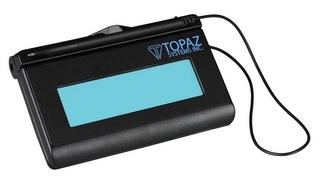 SigLite LCD is Topaz's low-cost pressure-sensitive electronic signature capture pad. 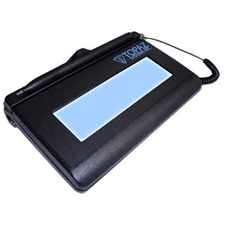 SigLite features all the high-quality biometric and forensic capture techniques of a SignatureGem LCD tablet but with a low-cost touchpad and stylus in place of the more rugged digitizing pen and inert tempered glass surface of the SigGem tablet series. Active Area: 4.40" x 1.30"